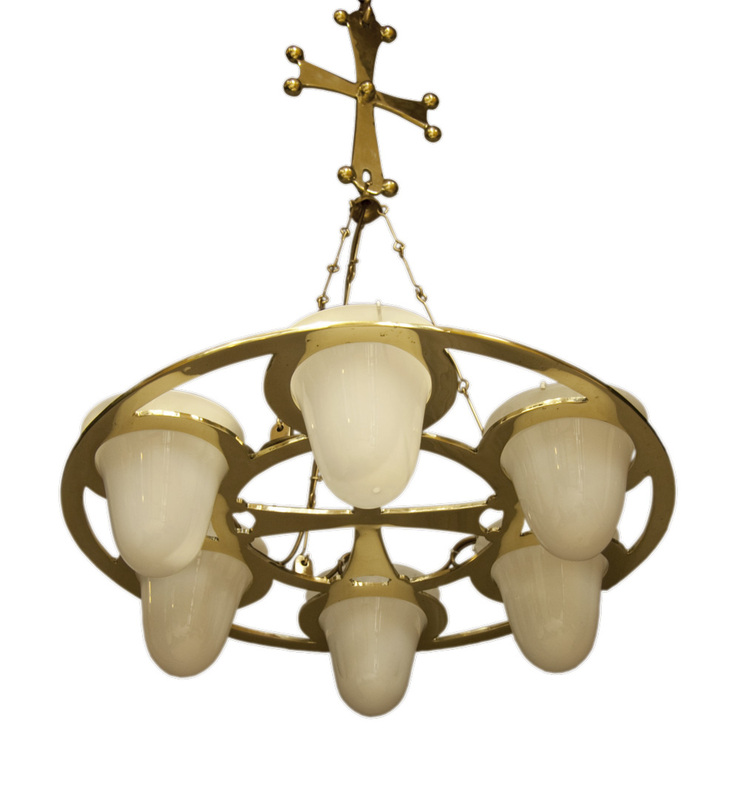 Recently made to order for a private chapel in the USA, this chandelier is 62cm in diameter and cast in solid brass. It was made in collaboration with three other craftspeople – Nikky Willams of Kinki Glass who made the hand-blown bowls, cabinet maker Dylan Hartley who made the original former and Fazer Picot who hand-forged the chain. This work is fully electrified, with fittings which are cunningly hidden from view, but it would also be possible to make an oil-lamp chandelier using the same design.